Glen Chapple says Lancashire must find a way of dealing with England call-ups if they are to enjoy success in County Championship cricket. Coach Chapple oversaw Lancashire’s third four-day relegation in seven seasons since they won the Division One title back in 2011, going down by virtue of fewer wins than Nottinghamshire. The point docked for a slow over-rate in the home defeat against Yorkshire in late July hurt them badly but Chapple also feels a host of Lions and other representative call-ups for series such as the North v South one-day series in March proved an issue. Liam Livingstone and Matthew Parkinson missed two Championship matches due to a Lions one-day series. Livingstone also missed their tour to Dubai while on Test duty in New Zealand, as did Alex Davies, Keaton Jennings, Saqib Mahmood and Parkinson, who were all playing for the North in Barbados. “Moving forward we have to work out how to combat selections,” said Chapple. “We’ve got players who we’re proud of that play representative cricket, who we want to play representative cricket for England. But we have to maintain our strength whilst that happens. “At times this year, we’ve failed in that regard. But it’s certainly not through lack of effort. “With the squad that we’ve got, I think the players and the coaches would accept that we’ve underperformed in four-day cricket. We’ll regroup. “There’s a lot of good things happened along the way, a lot of good cricket played. “Everybody who’s interested in cricket should know that Division One is tough. “We’ve gone down on equal points with Notts, so it’s been close. But we would think that in a reasonable season, we would finish mid-table and would expect to be good enough to challenge for the Championship. “Over the course of a career, you’re bound to have seasons where you struggle, and I think it’s really important we learn from that - individuals learn from it and the coaching team learns from it. “We have to look forward. It’s all about how we progress from here. The highlight of Lancashire’s season was reaching a seventh Finals Day earlier this month; however they were beaten in the semi-final by eventual champions Worcestershire. After winning the competition in 2015, the Lightning failed to get out of the group in 2016 and 2017. Chapple was also encouraged with some of their performances in the Royal London one-day Cup, but they missed out on a knockout berth. “From sitting here last year, we were happy with our performance in four-day cricket with every reason to look forward to a successful campaign this year,” he said. “But we were disappointed with our performances in one-day cricket. And it’s almost flipped on its head. 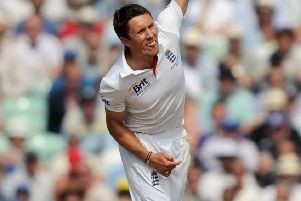 “The quality of cricket we played in the one-day stuff was good, although we can still look to do better. Lancashire held their annual end of season awards dinner on Friday with seamer Tom Bailey winning the Player of the Year award following his 64 Championship wickets.